Legs have 30mm Adjuster in the bottom. 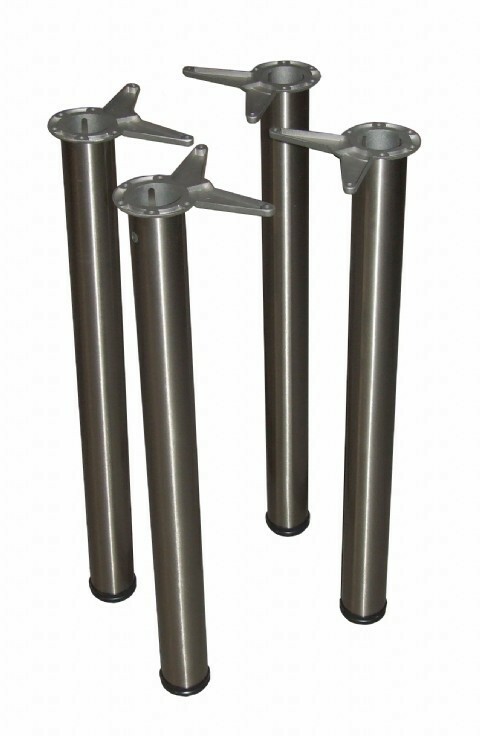 We supply these quality steel metal legs in a variety of finishes and heights and unless other specified they will always come boxed as a set of 4, with all the required fixings including fixing plate and adjustable table leg feet, offering a 45mm adjustment.� The fixing base plate is a super strong zamak construction and assembly is very simple, via an allen key. It's recommended that you aim to mount the centre of the fixing plate 70x70mm from the desk corner but obviously each application or top may have it's own limitations or requirements.